Caught up in the bizarrely busy Thursday afternoon traffic, a relaxed voice emerged. Luther Clay, talking via handsfree I hasten to add, came across as a content and serene individual throughout the 40-odd minutes we spoke. He started by telling me the simple stuff, as every boxer does, of when he first laced up the gloves. The word ‘simple’ is to be used loosely in this instance, Clay doesn’t do anything by half measures. “I was born in South Africa, a sort of farming area of the country, but I moved to England when I was six, seven years old. All my family is in Africa, in England it’s just my dad, my mum, my sister and I. You’ve probably heard it a lot but I used to get into a fights a fair bit at school but I didn’t really start boxing until I was 15. Had eleven amatuer fights in three years before I stopped and went to university. I was studying computer, web and app development, but I never really wanted to end up in that industry. With a fight in South Africa being the only definitive long term goal, titles aside, the Bracknell fighter is fully focussed on his next contest. On March 17th he’ll face O’Shane Clarke, a fighter he knows well. “I think, and I know it’s just hypothetical, I’d be in the sport until I’m 35. It seems a long time but it’s really not, it all depends on how good I get though. If I saw, in myself, that I couldn’t achieve a certain level in the sport – let’s say British or European – then I wouldn’t continue. I’m not in this to just be here, be a gatekeeper. I love a fight but I want to be at a certain level so I can be satisfied with myself and my career. If I can’t reach that level then I’d rather just go and get a job. 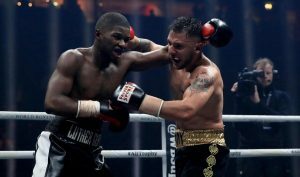 The 23 year old was confident in his ability to mix at a domestic level, welcoming potential fights with fellow prospects, but was pragmatic when discussing his progression. Looking to move 11-1 on the 17th – a sole loss that came in Georgia but one, Clay confesses, has made little impact on his mentality – the truly fascinating character ended our conversation by discussing exposure and building a profile. On March 8, 1971, as 300 million people gathered to watch Ali’s first major fight since he was convicted in 1967 for bravely refusing to fight in the unjust Vietnam war, a group of heroic antiwar activists plotted their burglary of the FBI office in Media, Pennsylvania. As the mainstream media praises Muhammad Ali for his boxing career and Parkinson’s while only glossing over his antiwar bravery, there are untold stories of how this amazing man changed the world. One of these such contributions manifested through a terrible loss during Ali’s fight against the darling of the military industrial complex — Joe Frazier. 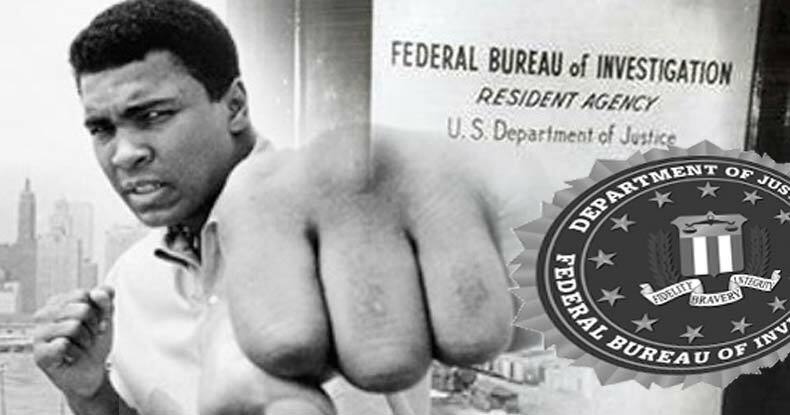 Although Ali would take a knockdown and the first loss of his career, his fight provided cover for a heist that would expose the FBI’s secret spying, murder plots, and COINTELPRO that would change the world forever. The noise from the fight would provide cover to the burglars as they broke into the office to expose the FBI’s heinous crimes. The group of eight activists would successfully expose the illegal spying operations of J. Edgar Hoover and how citizens across America were subject to the FBI’s black ops — including Martin Luther King, Jr.The group took every file in the office, and this cache would eventually lead to major congressional investigations and reform within the United States intelligence apparatus. Also contained within those files was the entire life history of Muhammad Ali. The FBI had data on Ali dating back to elementary school. The eight activists who carried out the burglary of the century were never caught and they never broke their silence until over 40 years later in a book written by Betty L. Medsger, titled, The Burglary: The Discovery of J. Edgar Hoover’s Secret FBI and for a and for a documentary titled, 1971, by Johanna Hamilton. As the world mourns the loss of this great man, it is important we don’t let the media whitewash his antiwar efforts. The fights he endured in the ring were nothing compared to the ridicule and hate he faced from the pro-war establishment class. For taking a stand against killing innocent people, Ali suffered death threats and had his business shut down by the government. The day after the fight, Ali, being the great man that he was, made the following statement playing down the loss of fight and highlighting the importance of everything else.